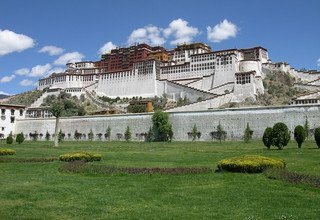 Lhasa is the capital city of Tibet Autonomous Region and has long been the center of politics, economy, culture and religion in Tibet. 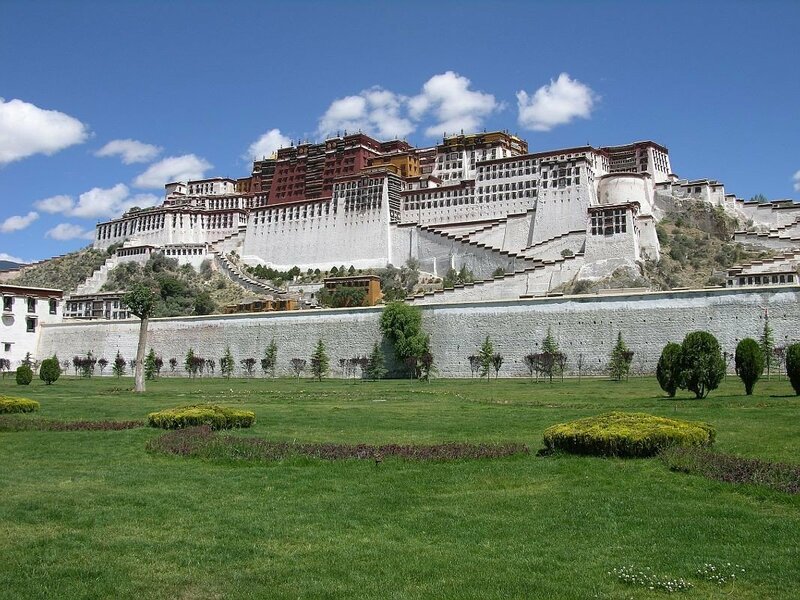 Lhasa means "holy land" in Tibetan language. Lhasa is one of the highest cities in the world. It is the birthplace of Tibetan Buddhism and contains many religious sites such as the Jokhang, Potala and Norbulingka palaces. The name Potala is possibly derived from Mount Potalaka, the mythological abode of Bodhisattva Avalokitesvara. The Jokhang Temple was also greatly expanded around this time. Although some wooden carvings and lintels of the Jokhang Temple date to the 7th century, the oldest of Lhasa&apos;s extant buildings, such as within the Potala Palace, the Jokhang and some of the monasteries and properties in the Old Quarter date to this second flowering in Lhasa&apos;s history. The Norbulingka summer palace and gardens to the southwest of the city were constructed in the 18th century under the 7th Dalai Lama. The 11th edition of Encyclopedia Britannica published between 1910—1911 noted the total population of Lhasa, including the lamas in the city and vicinity was about 30,000; a census in 1854 made the figure 42,000, but it is known to have greatly decreased since. Britannica noted that within Lhasa, there were about a total of 1,500 resident Tibetan laymen and about 5,500 Tibetan women. The permanent population also included Chinese families (about 2,000). The city&apos;s residents included people from Nepal and Ladak (about 800), and a few from Bhutan, Mongolia and other places. 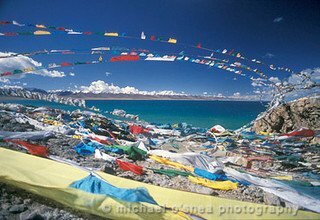 The Britannica noted with interest that the Chinese had a crowded burial-ground at Lhasa, tended carefully after their manner and that the Nepalese supplied mechanics and metal-workers at that time. The main gate to the city of Lhasa used to run through a large chorten and contained holy relics of the Buddha Mindukpa. With the invasion of China many people fled from the city; these included the living 14th Dalai Lama who fled from the Potala Palace into exile in India in 1959 after the Lhasa uprising. Between 1987—1989 Lhasa experienced major demonstrations, led by monks and nuns, against the Chinese Government&apos;s control of Tibet. As a result, the authorities imposed restrictions and political re-education programs in the monasteries. Many had to go through re-education sessions with the intent of having them align with the Communist views; they were also required to denounce both the Dalai Lama and Tibetan independence. Many monks and nuns who refused to cooperate were sent to prison, while others left the monasteries and escaped to India so that they could carry on with their studies. 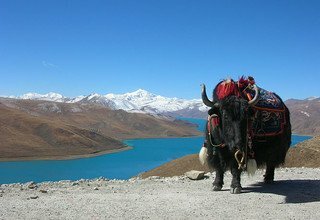 This day, we drive to Namtso Lake which takes about 4 hours to reach and visit this very beautiful Lake. 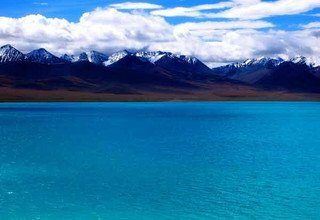 Namtso Lake, situated in the nomadic county of Damshung, is one of the highest and spectacularly beautiful lakes in Tibet. It is also the highest altitude salt water lake in the world. The water here is crystal-clear blue. Clear skies join the surface of the lake in the distance, creating an amazing view. 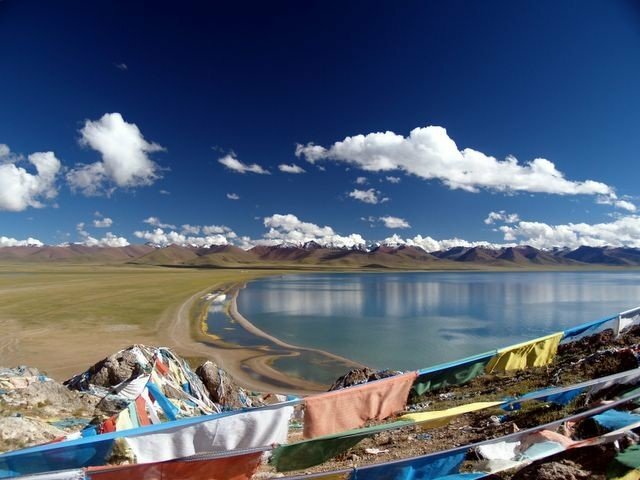 Namtso Lake&apos;s touching beauty should not be missed by any traveler who visits Tibet. Its purity and solemn ness are symbols of Qinghai-Tibet Plateau. 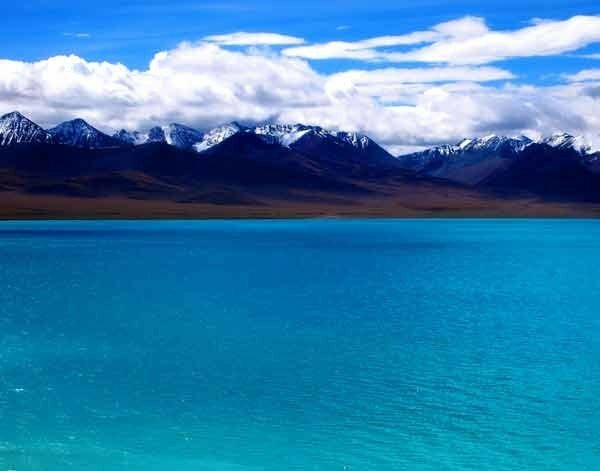 In Tibetan, Namtso means &apos;Heavenly Lake.&apos; It is considered one of the three holy lakes in Tibet. 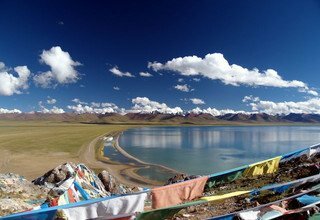 Namtso is famous for its high altitude 4720 meters, vast area 1961 square kilometers and beautiful scenery. Then we drive back to Lhasa about 4 hours and transfer to Hotel. Day 09: More sightseeing of world heritage sites. Our tour guide can show you again some other world heritage sites; we actually have 7 of them only in the Kathmandu valley, like Bhaktapur Durbar Square and Patan Durbar Square. Stay overnight in Hotel. Day 10: After breakfast transfer to international Airport for final departure.